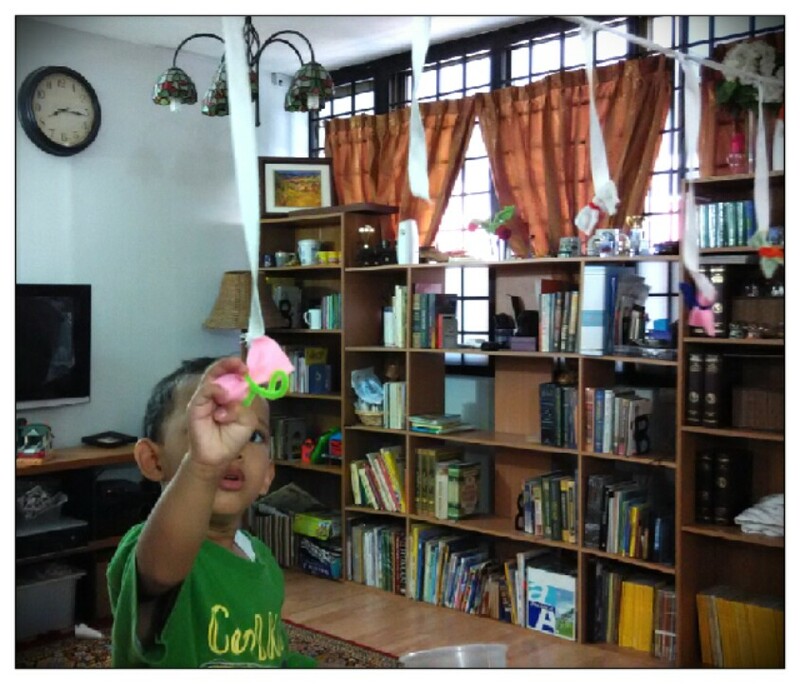 During the Children day holiday, I invited my preschooler for a butterfly-themed learning activities. He seems intrigued by the picture of a boy trying to catch a butterfly in his encyclopedia book, so I thought making him a similar scene would be fun. 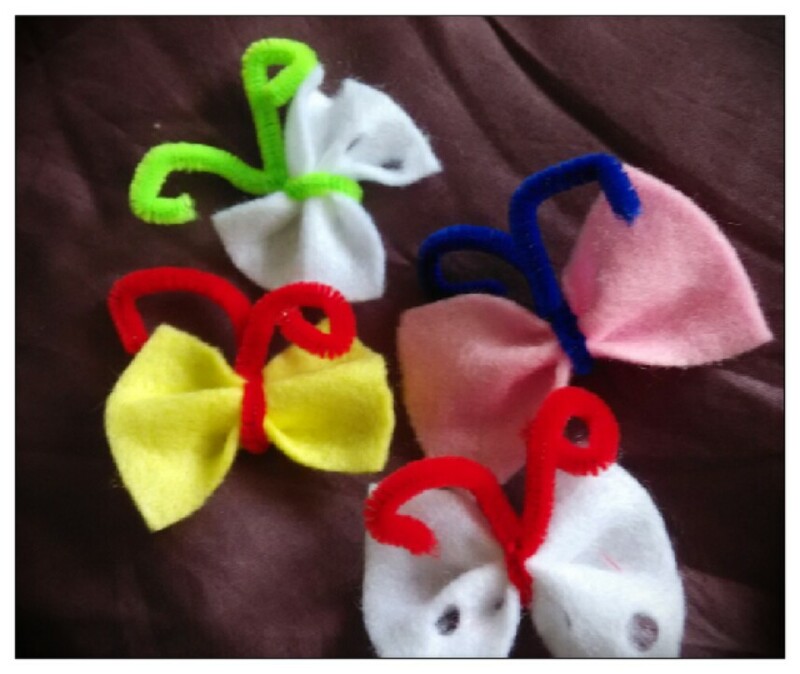 I use pipe cleaners and felt scrap to make the butterflies. We counted the butterflies as we finished each of them. I hung the butterflies using string accross my living room. I put a double-sided tape on the string so that the butterfly can stick on it, but for multiple-usage, I would suggest using the hook part of hook and loop tape (use the self-adhesive type like this Velcro® Sticky-Back Hook & Loop Fastener ) because the felt fabric attaches easily to it. Then I created a simple bug catcher using a plastic take-away container and attached a handle using a bamboo skewer with duct tape (for younger kids, I would suggest to use chopstick or plastic spoon or knife instead). My son’s job is to catch all the butterfly (make it fall down) using the catcher. Unfortunately, he could not reach the butterflies easily because they were too high for him (he is supposed to jump, but he didn’t want to). We tried to use tong but it was still too difficult to him, and finally I let him climb a chair to pick up the butterflies by hand. 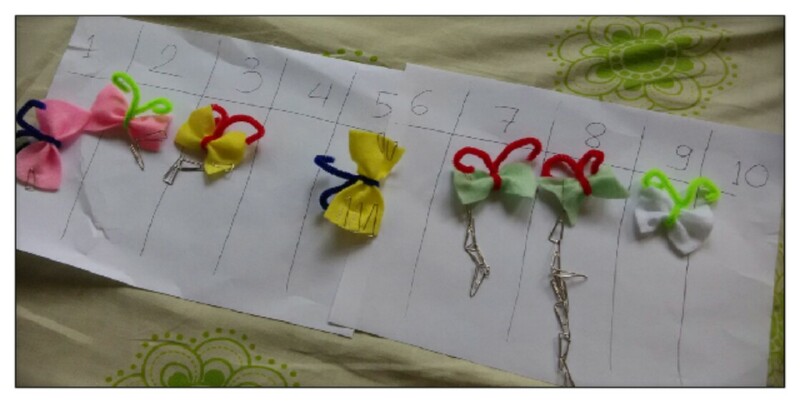 We also tried to decorate the butterfly wing with a metal paper clip for other fine motor activity, and ended up doing some counting activity. We made paper clip chains where each chain contains different count of paper clips, then I asked him to count and match the chain with the corresponding number in a sheet of paper. We completed this butterfly activity with watching video of The Very Hungry Catterpillar. This famous story teaches children about counting with a very bright and colorful images. Do you know that at the end of the story the catterpilar becomes a beautiful butterfly? What a great book to teach about butterfly life cycle in a simple and funny story. I grab a hook and loop (for the sewing type), make a circle with it and put the butterflies all around the circle. 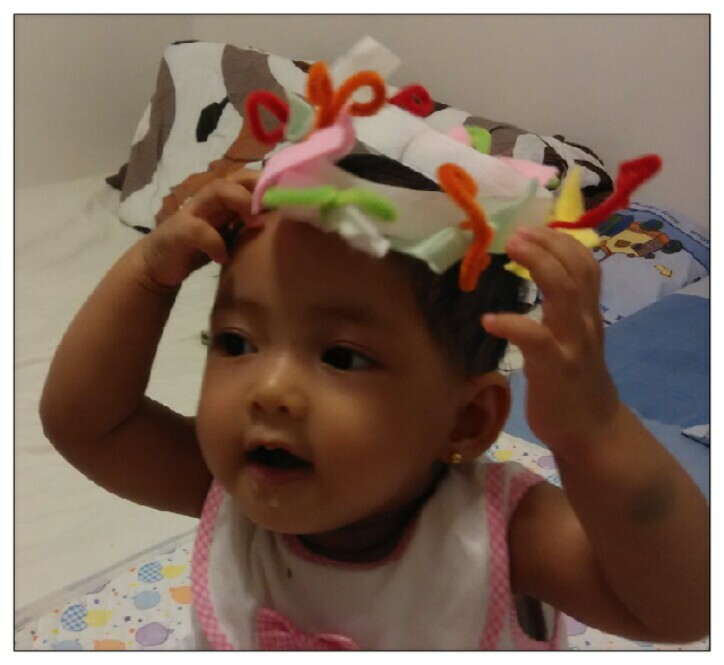 Voila, a beautiful butterfly crown for beautiful baby girl! 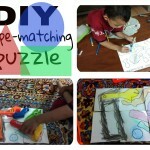 I hope you will have a lot of fun with this butterfly-theme learning activity. Do let me know if you have other interesting ideas to share. 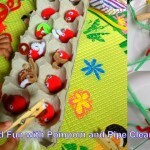 Have you had any other butterfly or insect-theme activities for preschooler? 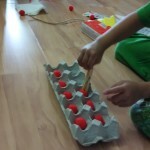 What is the most-favorite thing that your kids love while doing these activities? *This post contains affiliate links (that means when you make purchase through that link, I will receive a small commission with no extra cost to you).